Video diorama / monster-movie mini-epic featuring all-vegetable cast. This was a great little one-day festival -- "so underground it's not even in New Haven!". I got the warmest welcome ever from a fest -- the director hugged me because she liked my film so much, and everyone was uncommonly friendly. I couldn't believe I was still in New England! I saw some excellent shorts, including the stunning Robota, a Lego stop-motion piece. I attended the Faux Film Festival in Portland, Oregon, run by the Mad Martian Mike Shkolnik. Saw some great parody / spoof films, including the tremendous The Lady From Sockholm, Santa's Happy Tyme Show, and Ernie Fosselius' gut-busting Coppola spoof Porklips Now. One Night Stand: Recent Video Art, Gallery Soto, Boston, MA, March 18, 2006. Curated by James Manning. B-Movie Film Festival, Palace Theater, Syracuse, NY, March 3-5, 2006. 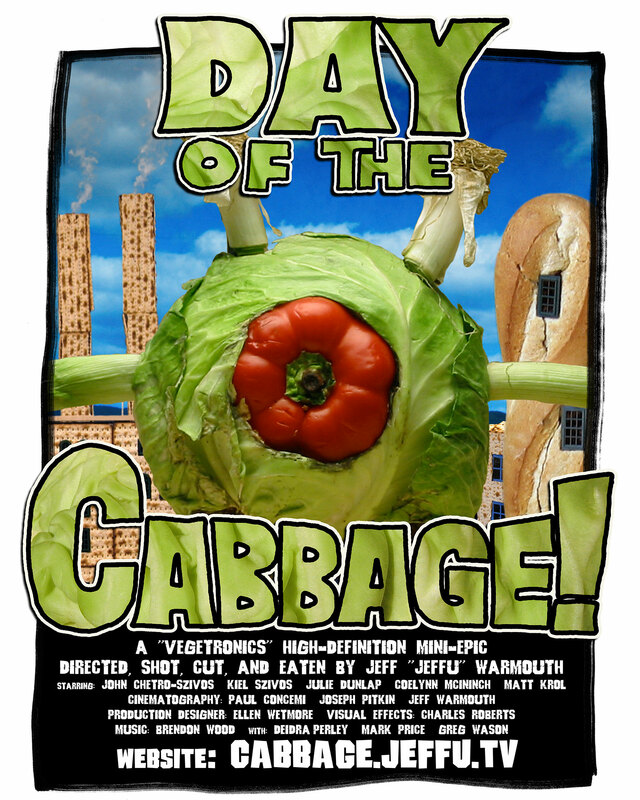 I attended this one as well: Day of the Cabbage screened before Pulgasari, the North Korean monster movie filmed in 1985 by a kidnapped South Korean director. I also was able to check out the latest Ultraman films! Fifth Annual Boston Cinema Census, Brattle Theatre, Cambridge, MA, January 13, 2006. This was the Boston premiere. 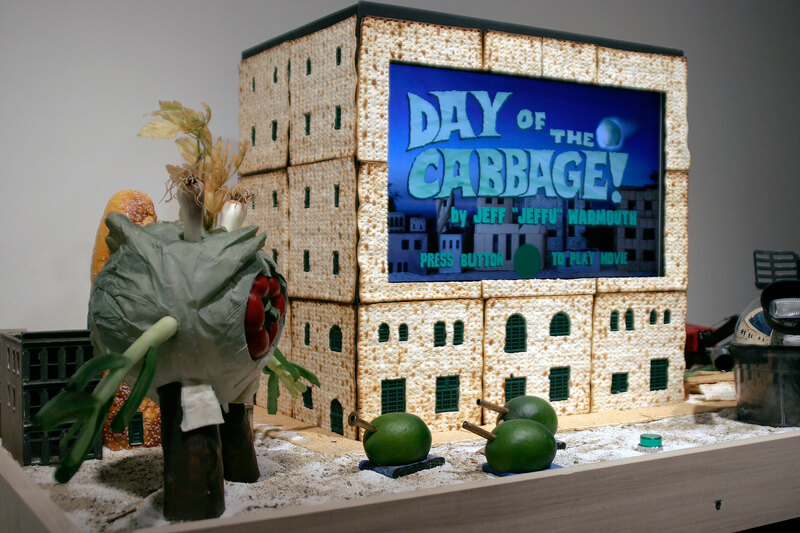 Day of the Cabbage: MatzoVision Diorama showed in the Faculty Art Exhibition at the Fitchburg State College Art Gallery, Fitchburg, MA, Dec 2005-Feb 2006.